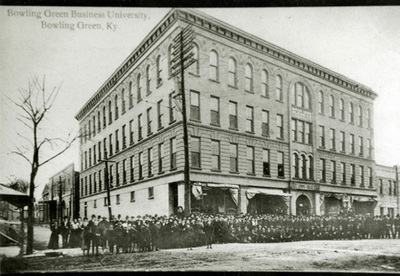 Bowling Green Business University under J.S. Dickey, J. Lewie Harman & W.S. Ashby. BGBU moved into the McCormack Building at 10th and State Streets.